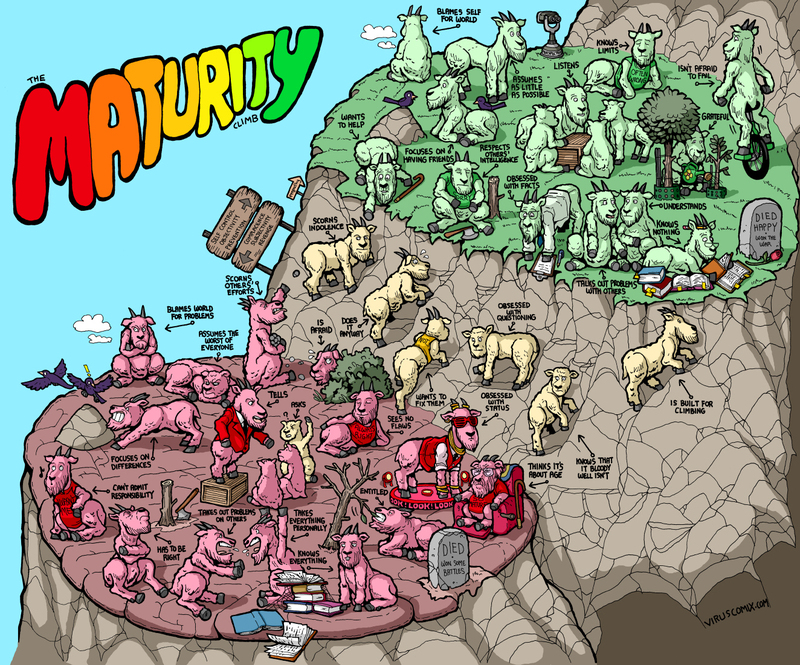 Old goats and maturity. Genius cartoon!!! Of course, the goats can move up and down that cliff. Up is really hard. Down is easy. This entry was posted in a little self-knowledge, activism, competence, fear. Bookmark the permalink.